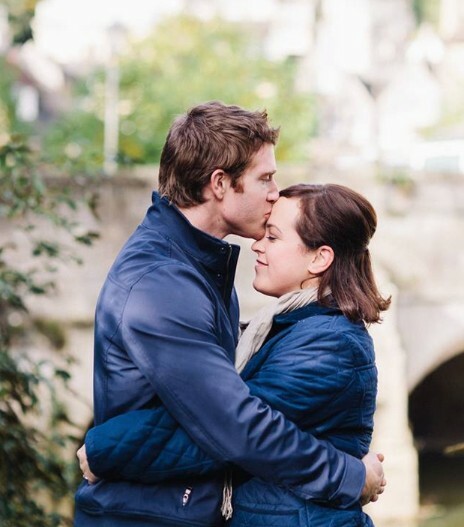 My wife, Amy Mattingly, passed away in April 2018 after being diagnosed with advanced bowel cancer at the age of just 31. To say that Amy transformed my life would be an understatement. In December 2018, I chose to write down what I had learned since Amy’s passing as I felt I had an important story to tell; not just as a legacy to remember Amy by, but to give hope for those who similarly have lost their loved ones. The following is an excerpt from my short book, The Five Pearls. On the morning of April 5th 2018, my wife Amy Mattingly passed away. Amy was diagnosed with advanced bowel cancer in early 2017 at the age of just 31, and became well known within the cancer community for her wacky dress sense, beautiful smile, and comedic outlook on what was an incurable diagnosis. Amy was a truly magnetic personality, drawing in almost everyone lucky enough to meet her. For some, she brought the grim truth of what living with the disease was really like. For many, she showed how you can still live with hope and joy even when dealt one of the worst of all cards. I began to realise that perhaps it isn’t the quantity of life that we should mark a life well lived by, rather the quality of life. The experience of witnessing Amy take her final breath was one I cannot forget. It will forever be forged within my memory with a strange mix of great overwhelm and sadness, yet one also of deep profundity. Someone who existed merely days before with energy and eagerness for life, now silent, still and gone. I had observed, with privileged access, something that most people never will; a simple fact of all life that is so soberingly obvious, yet one we collectively try to escape from and rarely give space to within our thoughts. For the months after, I was lucky enough to have loving support from family and friends who helped me once again slowly find joy and peace as Amy had hoped for. I was often asked how I was able to do it and that it was ‘ok to not feel ok’. Of course I knew this, and I often had periods where I was shuttled back to reliving the enormity of what had happened and what I had lost. I immersed myself into reading, talking with people about things I had never talked about before, and slowly I became more and more accepting of what had happened. There will never be a way to resolve the fact that Amy died too early; clearly she did, most of us will probably live into our seventies or eighties, maybe longer. She lived to just 32. But I began to realise that perhaps it isn’t the quantity of life that we should mark a life well lived by, rather the quality of life. And Amy had this in abundance. For many, she showed how you can still live with hope and joy even when dealt one of the worst of all cards. The more I thought about it, the more I also noticed that I was being guided by a range of lessons and behaviours that Amy herself had come to realise during her terminal diagnosis. She had developed a profound wisdom and clarity that I neither appreciated nor understood at the time. Now, as I look back, I see myself as having walked through a thick fog, trying to preoccupy myself with anything other than thinking about losing her. My story isn’t really a story of grief. Grief is a very personal journey; circumstantial, ebbing-and-flowing, and an emotion that won’t just subside over a specific period of time. Some people have very little response at all, some people suffer from acute-grief for years. There’s plenty of literature already on this, and if I’m honest, most is very hard to connect with. At a minimum, if you are experiencing grief, it will at least reassure you that you aren’t alone in feeling the way you do. Instead, I want my story to be one of hope for those that maybe find themselves in a similar situation. I want it to be a story of the important lessons our lost loved ones can teach us and how, once we understand them, they can have a transformative effect on the way we lead our own lives. 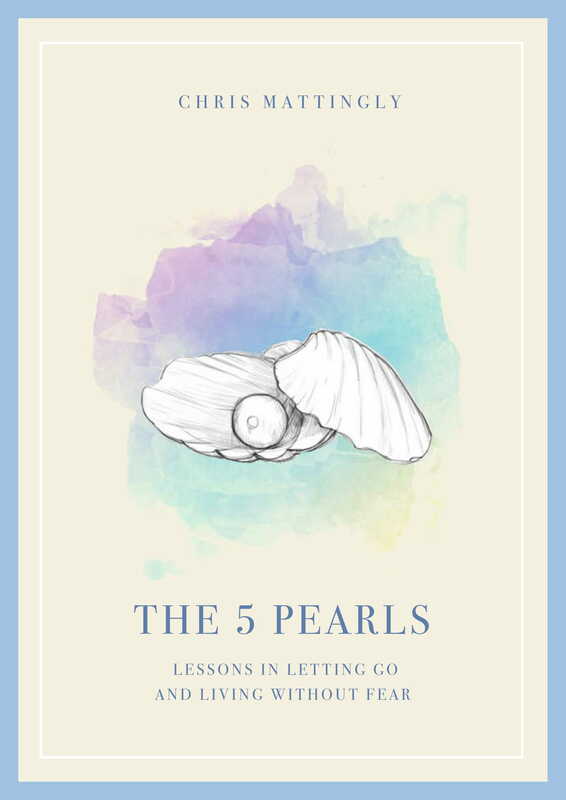 I call them ‘Amy’s Five Pearls’ (after her favourite quote) and I’ll begin to briefly open up about each one in this story. I’ll also mention how I apply them practically to my day-to-day life. One day I want to write a longer book about Amy’s lessons, but I’ll start with this short version! I want my story to be one of hope for those that maybe find themselves in a similar situation. Accept change and let go. Make of it the best you can. Living after losing a loved one doesn’t need to be a spiral into despair, into anger or bitter resentment, or even into depression. Over time, you can begin to develop a new sense of gratitude and a different type of love for them, and even the notion of loss can change. Even if you can’t see it right now, you can learn to love more deeply and more selflessly going forward with other people and it can feel wonderful. Do I live each and every moment by these lessons? Of course not. It’s just as easy for me to slip back into my default mode, reactive and small-minded with worries and concerns like everyone else. But I do know that I’m at least capable of living by Amy’s lessons because I’ve been able to repeatedly access them. Sometimes when I’m feeling sad, sometimes when I’m feeling really positive. And that for me gives me great strength and hope.